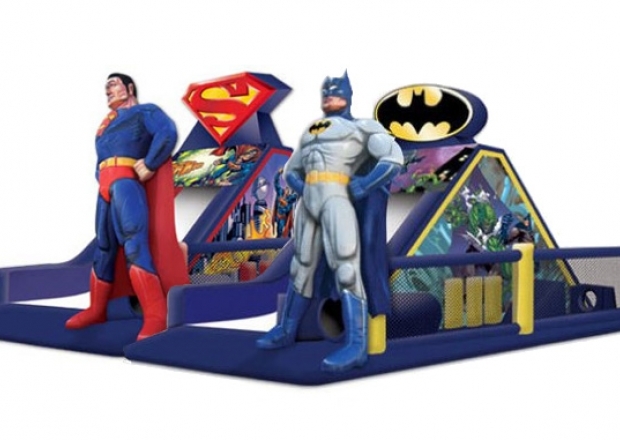 The Batman vs Superman obstacle course is an exciting Inflatabe for any event! Choose between Batman or Superman and enter the large obstacle course to challenge against an opponent in a clash of superheros! 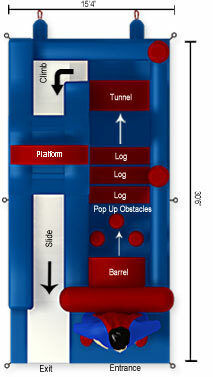 The inflatable begins with a front-loading obstacle entrance, taking participants through tunnels and pop-ups to facilitate maneuvering skills and build confidence. The obstacle then leads to an exciting front-exiting climb and slide, all to guarantee hours of enjoyable physical activity.